Technology is evolving and a real example of this change certainly concerns the mobile phone market. Nowadays, people are not only interested in innovative smartphones, but in everything that leads them to be unique, transforming them into exclusive objects. 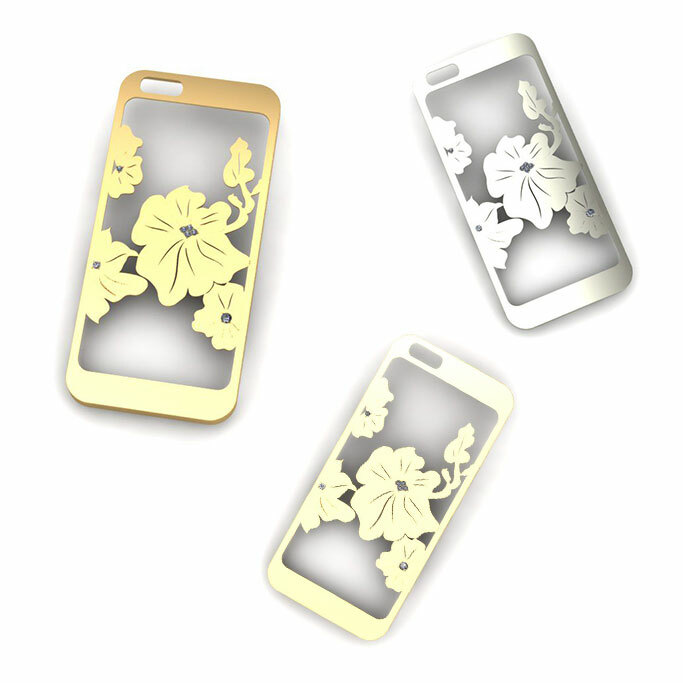 For this reason, with the use of CAD software, we designed a smartphone cover prototype. In particular, it has been chosen for the cover a floral composition adorned with precious stones. It is important to emphasize that it is adaptable to any model of iPhone. In fact, it is feasible in different sizes and in different shades of gold (yellow, white, pink, etc. ). Customers may also request personalized designs for their unique covers with any motif. Covers are available for different smartphone brands.